The Old Civic joined our Mission to help provide access to “Clean Water for All by 2030”. This Mission was initiated by the United Nations. 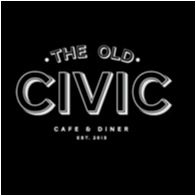 A big thank you to The Old Civic’s team and customers for joining this extremely important mission on 10 May 2018. "Brilliant service, great parking and outstanding coffee. Great location and I love the waitress with the scar on her left buttock, but it's almost invisible through the see through skirt.."